Harriet obtained her undergraduate degree from the University of Nottingham, where she studied Philosophy and Classical Civilisation specialising in Roman Near Eastern art and sculpture. Her dissertation focused on the colour purple as a status symbol from the Hellenic East to Roman Empire. Harriet was then awarded Exhibition Scholarships from the Inner Temple to study both the GDL and the BPTC. At this stage she became more interested in human rights; she was a finalist in the Ian Hutton Memorial Moot which focused on international human rights and received a distinction in her dissertation on the legality of whole life sentences. Her interest in social welfare law began whilst working in a specialised dementia care home. This challenging environment had a tremendous impact on her as she empathised and engaged with individuals trapped in a different reality. This gave her a much greater understanding of both the practical and legal issues concerning mental capacity and deprivation of liberty. It was this experience that motivated Harriet to practise law in an area that involved such vulnerable groups and a particular interest in Court of Protection work. Harriet also worked with Volunteers in Child Protection where she was placed with one family whose children were on a Child Protection Plan due to neglect and sexual abuse, there were also issues of domestic violence in the home. Harriet would visit them weekly and had to gain the trust and confidence of all members of the family, assisting them to access relevant support services and monitor the children’s developmental progress whilst submitting and presenting reports at Child Protection Conferences. This role has given Harriet practical, frontline experience in areas of public child law proceedings. Harriet currently volunteers with IPSEA (Independent Parental Special Education Advice), a charity which provides legal advice and representation to parents with children with Special Educational Needs and Disabilities at the SEND Tribunal. She took her first solo case in January 2014 which ran for 6 months and concerned speech and language therapy for an autistic child. 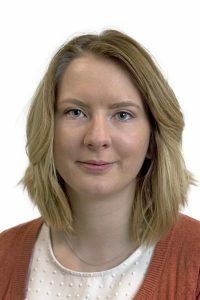 As part of the Fellowship, Harriet is currently working as a Caseworker for the Bar Pro Bono Unit before she completes her family law pupillage at St John’s Chambers. Harriet is working together with the other Pupil Fellow, Naima Asif, on the JFF project focusing on public legal education. The project aims to empower children with the requisite knowledge and confidence to enable them to safeguard their legal rights. They are hoping to collaborate with existing charities to deliver lessons in schools on important issues such as local authority intervention, child arrangement orders and the role of the family courts in protecting those who are at risk of forced marriage and FGM. Harriet and Naima are also exploring the use of technology to facilitate broader access to justice in family law for an additional project.